We love creating work that brings impact and helps the greater good! 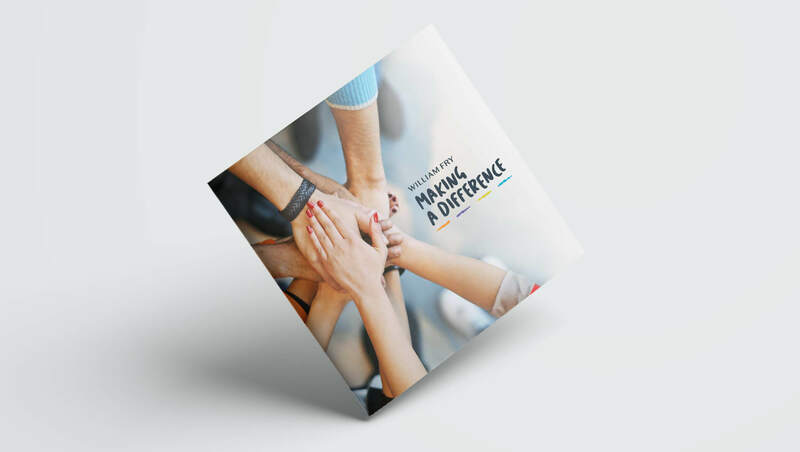 William Fry ‘Making A Difference’ is the name of William Fry’s Corporate Social Responsibility (CSR) Programme. 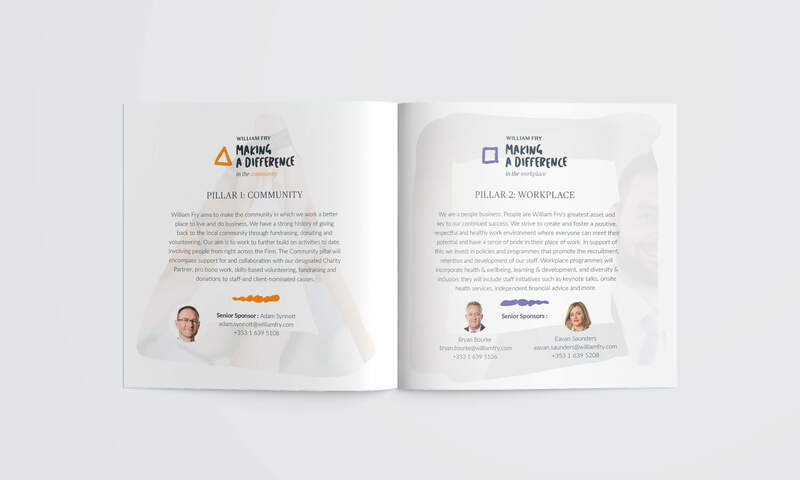 Their mission is to make a positive and lasting difference in their community, workplace, marketplace and environment. 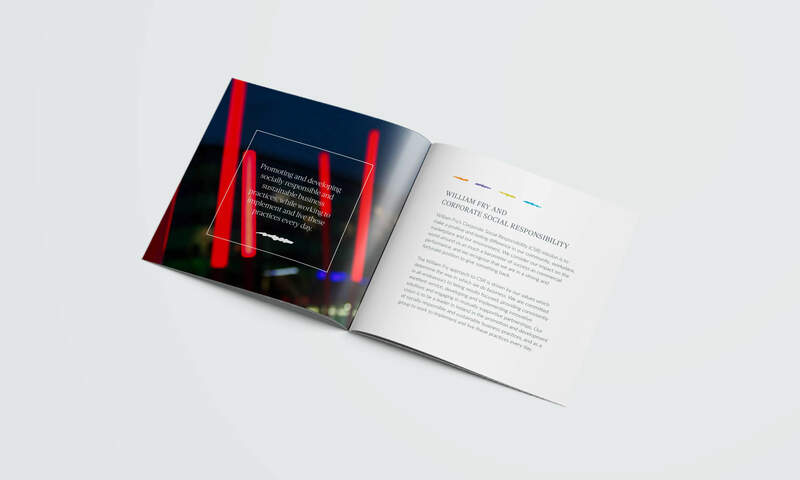 The company, Ireland’s leading corporate law firm, required a brand and design to highlight this initiative to both internal and external parties. 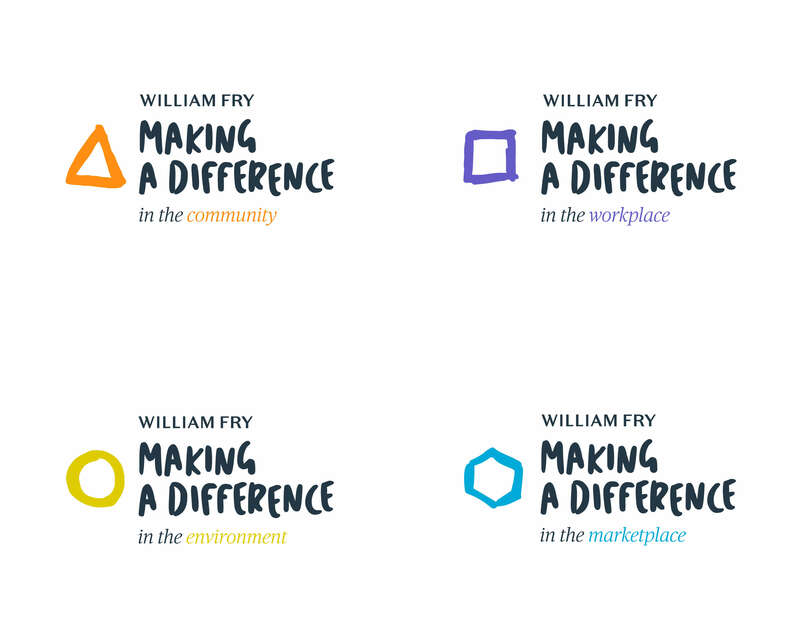 The brand was broken down into the four specific areas – Community, Workplace, Environment and Marketplace – the areas where William Fry proudly devote their time and resources. 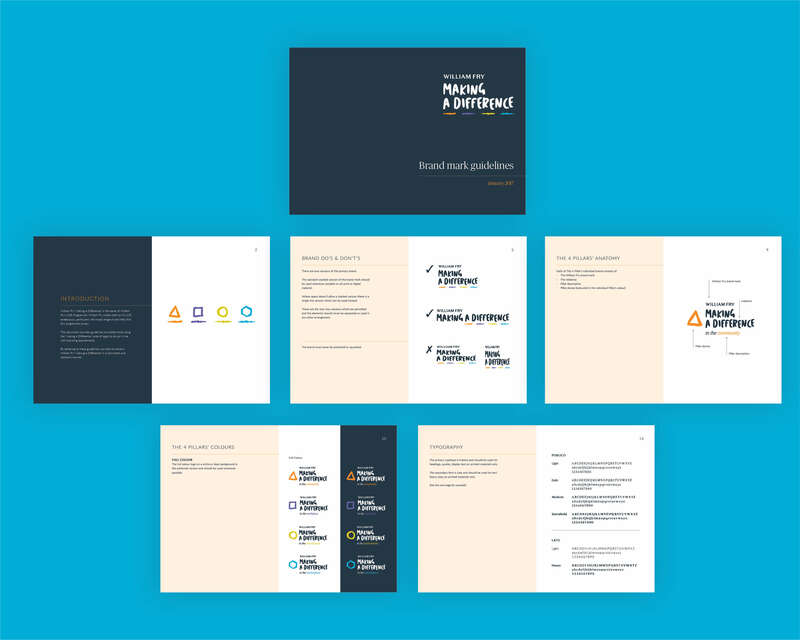 Idea designed a suite of logos which utilised different coloured accents, representing their overall CSR activity and the 4 individual areas of activity. This enabled anyone reading about William Fry’s efforts could easily see what area their CSR work was relating to. The colour palette used is energetic, identifiable yet respectful. 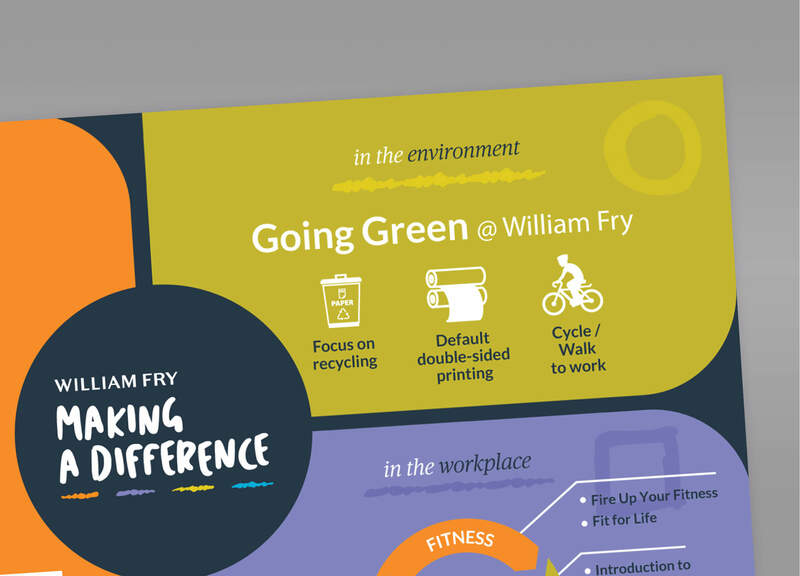 The resulting brand fitted the design brief perfectly and helps showcase William Fry’s CSR efforts within their community, workplace, marketplace and environment. The insightful and highly responsive team at Idea are a pleasure to work with and ensure that creative responses to tight deadlines are met on a consistent basis.